On his eightieth birthday today, veteran actor Sudhir Dalvi recalls some interesting as well as amusing incidents from his long journey. Indians are well known for taking the screen image of actors and actresses a bit too seriously. Thus, some who play villains are reviled while others who play gods are worshipped even in real life. This has happened with Shahu Modak, who played Krishna many a time on the big screen, and with Nitish Bhardwaj, who played the same deity in BR Chopra’s classic tele-serial Mahabharat. Sudhir Dalvi has also experienced something similar. The veteran theatre and film actor played Sai Baba in Ashok V Bhushan’s iconic film Shirdi Ke Sai Baba (1977) and forever got branded as Sai Baba. 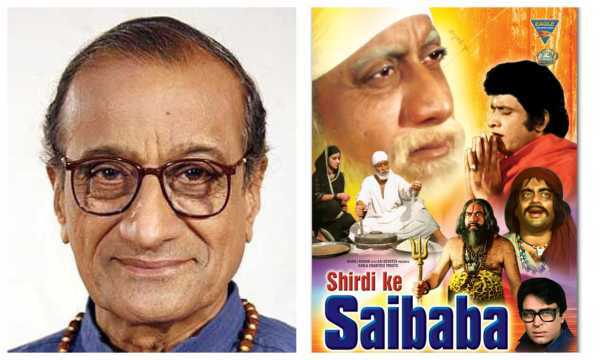 Dalvi played Sai Baba again in two more films, Shirdi Sai Baba (2001) and Sai Darshan... Ek Anubhav (2010). The veteran is also remembered for his portrayal of the sage Vashishtha in Ramanand Sagar’s TV serial Ramayan. How did you start your acting journey? I was initially with Satyadev Dubey’s Theatre Unit. From there AK Hangal took me to IPTA [Indian People's Theatre Association]. I got to learn a lot from other experienced people there. I also had an interior decorator business as I was an architect. While doing plays, I came in touch with Balraj Sahni through her daughter Shabnam. He handed over the task of doing the interiors of his new bungalow. This is how I received guidance from him also. Later I did a Marathi play in 1970 called Mee Jar Mhanali Tula, based on the queen of Jhansi. Sudha Karmarkar used to play the queen then. I kept doing Marathi theatre till I got offers in films, and later as well. I used to play the diwan in Katyar Kalzat Ghusli and a CID officer in Ashrunchi Zhali Phule with Kashinath Ghanekar. How did you enter films? Your big break was the titular role in Shirdi Ke Sai Baba. I had done a Hindi play with Shrikant Moghe called Sher Shivaji. I played Raja Jaisingh in it. Shrikant’s father-in-law’s cousin Pandurang Dixit called me for the role of Sai Baba after seeing me in that play. When he opened the door, he straightaway said, "Baba, ya [Come in, Baba]." I turned to look behind, but it was for me (laughs). Dixit offered me the role of Sai Baba. I said I am just 36. I wondered how I could play such roles now. But he wanted only me and said I will have to play both young and old [Sai Baba]. I then put down one condition, that I need every bit of information on Sai Baba. He gave me few books to read. I kept reading about Sai Baba late at night to prepare. My wife asked me why I was reading at 2 or 2:30am after returning home late. When I said I have been offered this role, she said I should be ready to perform any role. She said if I was able to carry it out, it would be proved that I am a good artiste. Can you share some stories from the making of the film? They wondered who would write the movie. At that time trustee Indubai Shah’s chartered accountant was also Manoj Kumar’s CA. He said Manojji will write as he is also a Sai devotee. Pandurang Dixit told me how his parents had gone to Shirdi in 1915 by taking a bullock cart from Kopargaon station. This is how one went to Shirdi in those days. At that time his mother was carrying Pandurang Dixit in her womb. The Sai Baba movie that was earlier made in 1955 was shot in [V Shantaram's] Rajkamal Studios [in Mumbai]. So, Pandurang Dixit decided to do the mahurat and shoot a few scenes there. After giving my first shot, somebody’s hands touched my feet. It was Pandurang Dixit! I was embarrassed. He said he felt he saw the real Sai Baba. How did your life change after that film? My image as Sai Baba became so strong that anywhere I went, people would say, "Come Baba." They would ask me for tea, coffee and cigarettes. But nobody was ready to give me any work! Then I got a chance to do a song in J Om Prakash’s film Apnapan (1977). I played a Sufi saint who gets into the bus for Srinagar but doesn’t have money for a ticket. Jeetendra’s character pays for me. As he notices my harmonium, he asks me to sing. So I sang ‘Aadmi Musafir Hai’. Whenever I was offered a role, I used to ask how much will I get per day as it was necessary to earn. This was how I got some good and creative roles. Ramanand Sagar gave me the role of Vashishtha in his serial Ramayan. The TV serial world has given me a lot. 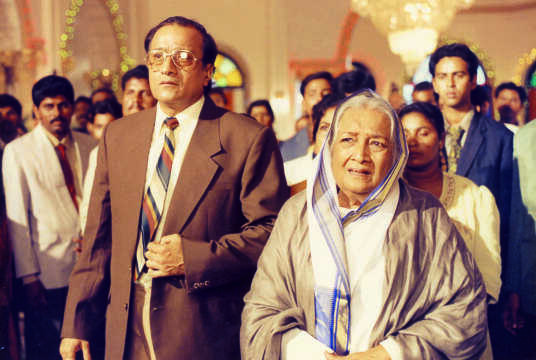 Later I did films in various languages like Gujarati, Marwari, Bhojpuri and Bengali. Did you start worshipping Sai Baba in real life too after doing the film? We were not too much into devotion. My family believed in the philosophy and rational thinking of the revolutionary MN Roy. So we were progressive thinkers. When I read Sai Baba’s life story I realized that I can’t be sure if he was a siddha purush. But all the peers, fakirs and saints from India have always given the message of humanity. I felt like sending this message across to the people. But I didn’t know my image will become so strong (laughs). I only tell people that they should worship and pray to Sai. But, more importantly, they should spread his message of humanity, which is slowly getting finished. It feels bad. How did your role in Richard Attenborough’s Gandhi (1982) happen? I was once called to the Sea Rock Hotel [at Bandra in Mumbai] and offered the role of Gopal Krishna Gokhale in Gandhi, but I refused. When they asked why, I said I won’t look like him. He was short with typical blue and brown eyes. They asked me which other artiste could do the role. I said if the character is middle-aged then Shriram Lagoo can do it and if it is young then Vikram Gokhale. I liked their way of functioning. As soon as I reached, they handed me my conveyance. After two days, they called and asked if I would like to play the role of the commissioner. I instantly said yes as that suits my personality, voice and everything. I also kept doing plays. I never stayed idle. I didn’t get too many offers from Hindi films. But whatever I got, I made the most of it. Apart from Gandhi, I did another English film but it could not get a release. The censors didn’t allow it. I don’t remember the name now. Can you recall any memorable or amusing incidents from your career? I used to play Shakuni in a play. So whenever I used to arrive on stage, women from the audience would react with "aala melya [here's the rascal]!" That also used to be a compliment. When people start knowing you from your character names from serials, it means you have done your job well. You have seen the era of Bharat Ek Khoj, Ramayan, Chanakya, Junoon, Mirza Ghalib, Ghutan, Om Namah Shivay and also the era of family dramas like Kyun Ki Saas Bhi Kabhi Bahu Thi. Both phases were hugely different. That era was different. You used to get paid on a per-episode basis. Now it is on a per-day basis, which is better. Now things are more disciplined. At that time it used to be less so. Earlier people used to come late. Now you can complain to CINTAA [the Cine And Television Artistes' Association] and the person can be removed. So now people have become more conscious. But as far as content goes, which era is better in your opinion? In my serial Badi Devrani, I suggested that they should give equal balance to every character. But they will do only what the channel asks them to. Do you watch new movies? I do. But I and my wife watch a lot of plays. Some I like a lot, like Aaranyak. Those who are well-versed in the Mahabharat will surely like the play. I liked Dev Bhabali a lot. You turn 80 today. How are you going to celebrate the day? I don’t like making any noise about it (laughs). My wife will make sheera and that’s all. We are not so involved in Western culture like cutting a cake. Events like marriage and birthdays are celebrated in our industry with a lot of aplomb. 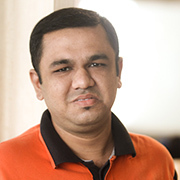 I never used to work on my birthday, wife’s birthday, son’s birthday, our marriage anniversary and the four days of Diwali. I used to clarify this before starting a project. You have to give time to your family.